The Foreign Exchange Market, abbreviated to Forex (or FX), simply put is the global market place where you can buy and sell currency. This has major similarities (and differences) to another market place far more commonly known as the stock market. The forex market vastly overshadows the stock market, as forex trading measure up to 5 trillion USD a day. Stock markets have combined trades of around 90 billion USD globally. FX brokers give access to all three major FX markets (New York, London and Tokyo) where almost all currency pairs are traded. Therefore, unlike stocks, which may only be listed on particular markets that are open during certain hours, currencies can be traded 24 hours during the weekdays. Stocks can be highly volatile in their price. For example; a controversy relating to Elon Musk can send Tesla’s stock price tumbling. A currency’s value on the other hand can be much more stable (especially in the long term). Unless a major event such as the Brexit comes around, prices of a currency moves very slowly. Due to this reason currencies are in fact quoted with 4 decimal points (barring Japanese Yen). A currency may move about 0.0010 – 0.0030 in value on a normal day. 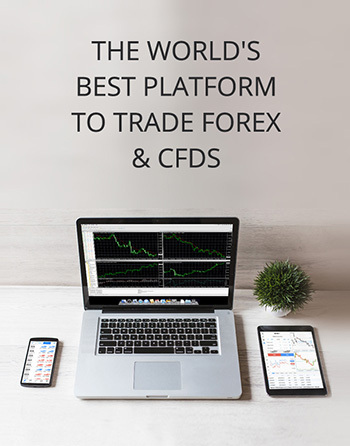 In addition, the size of the Forex trading market means that, unlike stocks, even very large transactions have minimal impact on price, making Forex markets less receptive to market manipulation by a single party. Due to the stability of a currency, Forex trade almost always uses the power of leverage. Leverage means that a smaller amount of money is set forth to trade a large sum of money. As an example, a leverage of 1:100 means that the Forex trader can use 100 USD in their trading account and buy 10,000 USD worth of Euros. As one Euro changes by 0.0001 USD in value, the trading position changes by 1 USD. As you can see, a very small change in a currency’s value fluctuation can result in a large gain/loss for the trader. Additionally, this means that a retail trader can start trading FX for a far smaller sum compared to traditional stock market trading. Liquidity of stocks greatly depend on how popular the stock is. Apple shares may always have buyers and sellers willing to trade but a very small company or a company with very high stock value can be somewhat illiquid. Currency pairs on the other hand are far more liquid due to the sheer volume of trade and the limited number of currency pairs being on the market. Still, the liquidity of currency pairs can be lower when considering emerging market currencies such as the Sri Lankan Rupee. Nevertheless, a retail forex trader will almost exclusively deal in major currencies such as the USD or Euro. Stock markets are highly regulated by the respective countries’ authorities. Due to the global nature, the regulation surrounding FX is far more lacking. Although this leads to less limitations, it means that scams and financial risks of engaging in FX trade is greater as well. Generally, FX broker fees and commissions are much lower compared to stock market brokers. In fact, some brokers offer matching contributions to open new FX accounts with them which is rarer to see with stock brokers. Another difference is the fact that most of the FX commissions come through the bid and offer spread (discussed later) which results in a varying commission fee rather than the flat commission found with stock brokers. In every transaction, there’s something the buyer gives to the seller and vice versa. For stocks, the buyer gives money to the seller and the seller gives a stock to the seller. In FX, the buyer gives money to the buyer and the seller gives money of a different currency to the buyer. Therefore, every FX transaction happens as a currency pair. Currencies are denominated using the ISO 4217 currency code. They’re always in three characters. The following table shows the currencies traded on FX markets in 2016 against their respective market share. As currencies are traded in pairs, the total market share adds up to 200%. Due to the massive US economy and most commodities (such as oil) being traded in USD, the FX market for USD is far greater than the other currencies as well. The left-side currency which is USD in this example, is called the base currency. The right-side currency is called the quote currency. The base currency is spent to buy the quote currency. The number represents how much of the quote currency is gained by spending a unit of the base currency. In this example, by spending one US dollar you can buy 1.3042 Canadian dollars. The 0.0001th decimal is referred to as a pip. A pip is the smallest tradable unit in the FX market. Therefore, the fifth decimal point is only for informational purposes and is called a pipette. Some brokers won’t quote the pipette. The exception to the above is when a currency pair involves Yen. Then the pip becomes the second decimal point as one Yen is comparatively much less valuable to other major currencies. Therefore, the USD JPY pair take the following form. Due to the dual nature of the currency pair, if a FX trader wants to buy the base pair using the quote currency, they can sell the currency pair instead of buying it. For example, you may buy 1 US dollar using 111.60 Yen according to the example above. Even though most people are used to seeing only one price for stocks or even currency pairs, there can always be a discrepancy between what the seller is willing to sell for and what the buyer is willing to pay for it. Here, the offer price indicates that a buyer is willing to spend 1 GBP to buy 1.3074 US dollars. The seller is only willing to part with 1.3070 US dollars in exchange for one GBP. The bid price is usually lower than the offer price. The difference between the two prices is called the spread. This spread can differ based on the broker used by the FX trader as the broker usually adds to the spread to make a profit. The Forex market is made up of retail and institutional traders without a central authority such as a stock market. The traders can vary in size from the smallest individual traders to investment management firms, hedge funds and central banks. A retail trader will typically use a broker who has access to liquidity providers (large institutions who will trade with brokers). Generally, the brokers will provide an online platform on which the retail traders can execute trades. Based on the structure of how those trades are executed, the brokers can be categorized into the following. Market makers are the counterparty to the trade submitted by a retail trader. Therefore, with a market maker, trades can be executed very fast without requotes. Still, the trader’s loss becomes the broker’s gain and vice versa. This can create a conflict of interest which may result in price manipulation. Nevertheless, as there are numerous market makers competing for business, the prices and spreads between the different brokers tend to be similar to each other. The Electronic Communications Network (ECN) is used by the major banks and other institutions who provide price feeds to the ECN pool. The broker has access to this ECN pool thus can offer the best bid and offer prices to the trader. This can result in a very low bid offer spread which sometimes can close on to zero (i.e. bid and offer price are the same). The brokers usually take a fixed commission off each trade. Therefore, high value traders can save money by using ECN brokers. In addition, as ECN brokers are only the middle men between the liquidity providers and the traders, ECN brokers don’t profit from a trader’s loss. Thus, incentive to manipulate prices are far less. Still, trades through ECN brokers may get the price requoted (original price at the time the trade was input by the trader can change) as the volume provided by the counter party at a specific price may not be enough to fill the trade. STP Brokers are similar to ECN brokers in the sense that they connect traders to liquidity providers as well. The main difference lies in the fact that STP brokers have connections to liquidity providers individually. They also usually profit through an added bid ask spread rather than a commission. 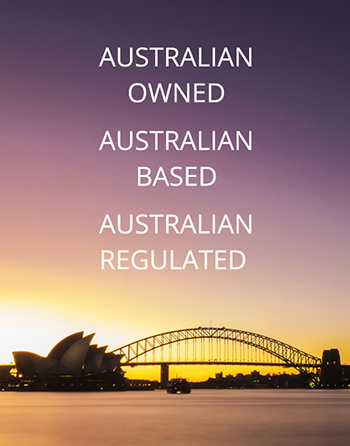 Although, the above categorizations are generally accurate, in the real world there can be specific characteristics, fee structures and trust factors relevant to different brokers. Therefore, one must be careful and perform research on individual brokers before selecting one. Trading platforms are basically the types of software traders use to input the trades through. Different brokers may offer their services through different platforms. Most of the FX brokers offer MT4 as it has become the world’s most popular FX trading platform. Therefore, it’ll have the most amount of education as well as automated scripts (called Expert Advisors) available. After selecting a trading platform and a broker, the next step is to learn how to trade. The most basic tool for this purpose is the line chart. It’s simply the price of the currency pair graphed against the time. Although simple to read, the line chart loses lot of information related to quick market movements which can be very important to short term traders. 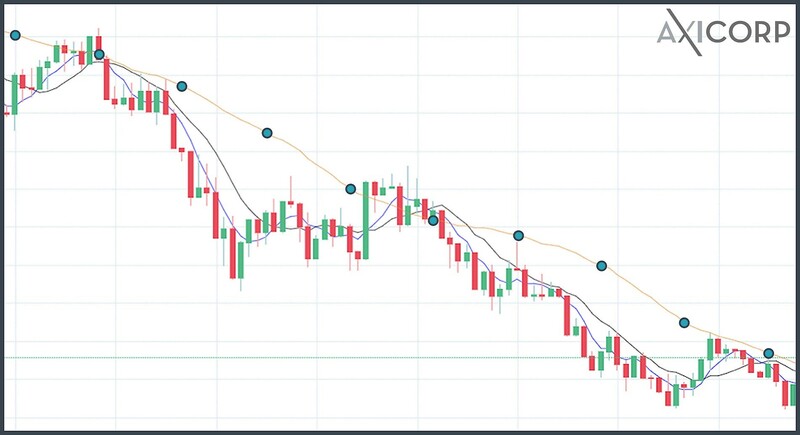 The main reason is that, a line chart connects the closing price of every time period, thus the price movement within that time period is lost. Candle stick charts on the other hand presents most of the relevant data in an elegant manner. Although looks complicated at first, candle stick charts are very simple to read. Candlesticks represent four main price points within a particular time period. This period can usually be set to 1 minute, 5 minutes, 30 minutes 1 hour, daily, weekly, monthly etc. The main four price points are as given in the diagram. The main body of the candle will be colored in green (or be empty) if the closing price is higher than the opening price of that time period (i.e. the price has increased). If the body is colored red (or filled in black) the price has decreased within the period. Ability to read candle stick charts is the first step before using various tools of analysis to become a successful trader. 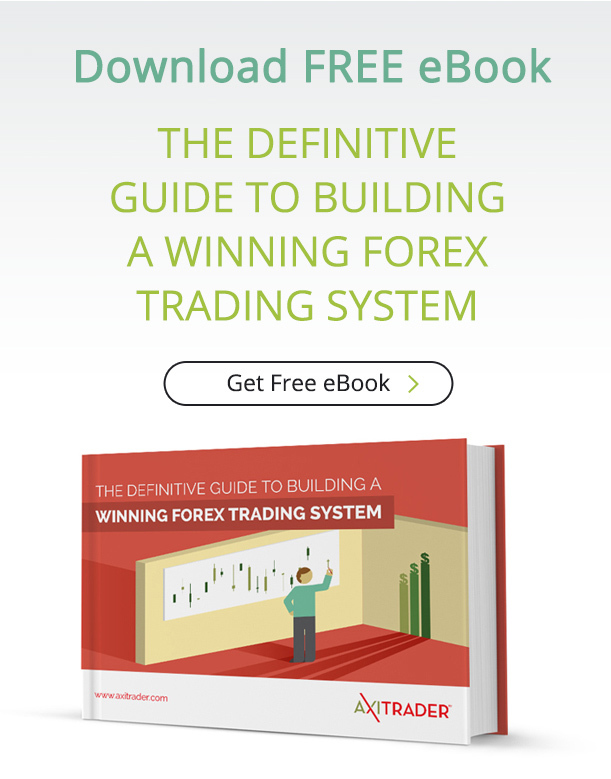 Typical Forex brokers will offer the following types of orders to ensure that the trader can execute their strategy without constant monitoring of the Forex market. This is a manual order where the trader asks the broker to fill a buy or sell position at the price currently available in the market. This is used if the trader wants to enter a position as quickly as possible. Limit order is when the trader asks the broker to buy below the market price or sell above the market price. For example, if USD/CAD is at 1.3012 currently and the trader believes that the price will move to 1.3030 before coming down, the trader can set a sell limit at 1.3030. When the price goes to or above 1.3030 the broker will automatically sell the position for the best available price. A sell stop order can be set so that the sell will only execute if the price is above or equal a certain price. This can be used in conjunction with a limit order so that the sell is executed automatically but not below a certain price. In the earlier example, if the trader also sets a stop loss at 1.3028, then the broker will trigger the selling at 1.3030 but will not sell if the price falls below 1.3028. The same type of order can be used for buying which is called a buy stop. There are many other types of orders at a FX trader’s arsenal such as stop entry, trailing stop, good till cancelled, good for the day etc. It’s good practice to ensure that the trader doesn’t constantly have to monitor the market prices and setup these automated orders to execute their trading strategy and limit losses. There are three main categories of analysis FX traders can use to predict market behavior. Technical analysis is the use of a collection of methods that look for patterns in the chart that may predict future behavior. Technical analysis assumes that all the information related to a currency pair available is already priced in. Therefore, the theory is that if a particular pattern is repeated in the past, recognizing that pattern can help the trader predict the immediate future. The biggest advantage of using technical analysis for forex trading, is that the trader doesn’t need to conduct research on economic climate and predict future policy decisions. As the FX market is fluctuating according to patterns, it becomes far easier to automate the trading strategy. Finally, as more and more FX traders start to trade according to technical analysis theories, the higher probability exists that it becomes a self-fulfilling prophecy. On the flip side, if the trader ignores the economic and policy climate affecting the FX market, it can be very easy to enter losing positions (especially on the long term) even when the signs of trouble are clear. Even a beginner trader can start using these tools without understanding the technical calculations as the popular platforms will have ready made tools which can be inserted into the chart. The following looks at some of the basic tools of technical analysis. One of the most fundamental patterns seen in price movements in forex markets is the chart moving up and down in cycles. The turning points of these cycle patterns make up the support and resistance levels of a chart. In very basic terms, the support line is the temporary limit where the price can’t break through to reverse the overall trend. In the example above, the blue boxes are supporting the overall downward trend and not letting the price reverse into an upward trend. The resistance is the opposite of support. In the example, they’re shown in orange. If the overall trend was going up, the support for an upward trend would be the bottom troughs and the resistance would be the ceilings. A very basic trading strategy when the price is trending down is to buy the currency at resistance and sell at support levels, (if the price is on uptrend, buy at support and sell at resistance). Although this can work in theory, in the real world its almost impossible to accurately predict the price trend and the support/resistance levels without using other tools. One of the basic tools to identify whether the overall price is trending up or down, is to use a moving average (MA). This indicator takes the last X number of closing prices and averages the price for the current periods moving average. The larger the X, the stronger the MA trend. The diagram indicates the 30-point MA in Orange, 10-point MA in black and 5-point MA in blue. As evident, the blue line follows the oscillations of the market far closer than the orange line. Therefore, the orange line shows a much stronger trend line. Nevertheless, as a large spike in the past can affect a MA line unnecessarily, traders tend to use exponential moving averages (EMA) that give more weight to more recent price points. In the above example, the blue line represents the 30 EMA vs. the orange 30 MA line. The 30 EMA is more sensitive to recent price changes while still considering 30 past closing prices. Therefore, it’s more accurate to use EMA trend lines to discern the overall price movements. Assuming the trader has identified the overall trend, how can he still be confident that the trend won’t reverse as soon as he commits to a trade? This is where oscillators come in. Some of the most common oscillators are Stochastic Oscillator & Relative strength index (RSI). Without going into the technical details of how they work, lets look at how to interpret the signals. The stochastic oscillator and RSI look similar when plotted in the charting software. Here, the bottom chart is the RSI and the next one is the stochastic oscillator. The blue line on the candlestick chart is the 30 EMA. The most important factor to identify here is that both the oscillators break out of their darkened zones before the actual trend reversal takes place. Therefore, by studying the breakout of the oscillators, the trader can be confident that a trend reversal is about to take place. There are many more tools such as Fibonacci’s retracement, Bollinger bands and MACD which can indicate possible future trends, support and resistance levels. The most important thing to realize is that none of these tools can predict the FX market 100% accurately. Still, a trader can improve his or her odds by adding the use of these tools to their arsenal. As a beginner, when the options seem overwhelming, start with the basics. This goes for tweaking the parameters of the tools mentioned earlier as well. By using the default settings of the tools above, (as most other traders will also use the same parameters) the market can behave in a self-fulfilling manner. Fundamental analysis is when the FX trader considers underlying economic or policy reasons for a currency’s price fluctuations. The main idea behind the analysis is if the currency’s underlying economy is predicted to do better compared to other countries, the price of that currency will go up and vice versa. The main advantage of fundamental analysis is that the predicted price fluctuations are based on real world value. Therefore, identifying large enough influencing factors can accurately predict future price trends. Nevertheless, especially on the short term, prices can be driven much more by seemingly random trader behaviors. Unlike technical analysis, fundamental analysis deals less with charts and much more with research and economic indicators. The following are some of the economic indicators and how they will affect the related currencies. Gross domestic product (GDP) can be characterized as a country’s economic output. The most important factor traders look at is the GDP annualized growth rate. As a country’s GDP reporting date draws closer, traders will have varying ideas on the predicted outcome and the consensus will be priced in. As soon as the report releases, if the report indicates that the growth rate is better than expected, the currency will appreciate and vice versa. The consumer price index (CPI) measures the inflation of an economy (i.e. how fast the prices of goods are rising). If the rate is higher, the monetary authority will raise interest rates to bring consumer spending down. That means that more investors will be willing to buy bonds of that currency thus increasing its demand. Therefore, the price of the currency will increase. In case if inflation is lower than expectations, this can drive the price for the currency down. On the other hand, if traders sense runaway inflation (such as in the case of Venezuela) the demand for the currency can drop very fast. Employment reports include measures of unemployment rates and wages. If the unemployment is low and wages are growing, the populace will spend more in the future thus increasing GDP and vice versa. Therefore, a positive employment report will strengthen the currency of the underlying economy. The above indicators were relating to periodical measures released by the governing bodies. There can still be major influencing events for FX markets in the form of specific geopolitical effects. For example, the Brexit, the US election, NAFTA deal, Trade wars etc. can all influence the Forex market. The main point to look out for here is to understand how an event will affect the underlying economy and trade accordingly. Even if the other traders don’t share your sentiment, if your prediction is correct, the markets will move in your favor in the long term. As a FX trader, there are several styles of forex trading that can be followed. They can be broadly categorized by the time frame the positions are held for. Scalp trading is the most active form of trading as the positions are only held for literal seconds or minutes. The strategy is entirely built on technical analysis as fundamentals can not affect such a small timeframe. It’s also important to select a FX broker with low commissions and fast execution times as there needs to be several hundred small trades to make a significant profit. Like scalp trading, day traders will also use technical analysis unless a sudden geopolitical event comes to light. Day traders trade positions within the day and don’t typically hold positions overnight. They also require generally fast execution and low commissions to make profit. Swing trading is the next natural step of the trading styles. Here, the positions are held from several days to weeks. The analysis can be a mix of technical and fundamental analysis as both can affect the pricing in this time frame. 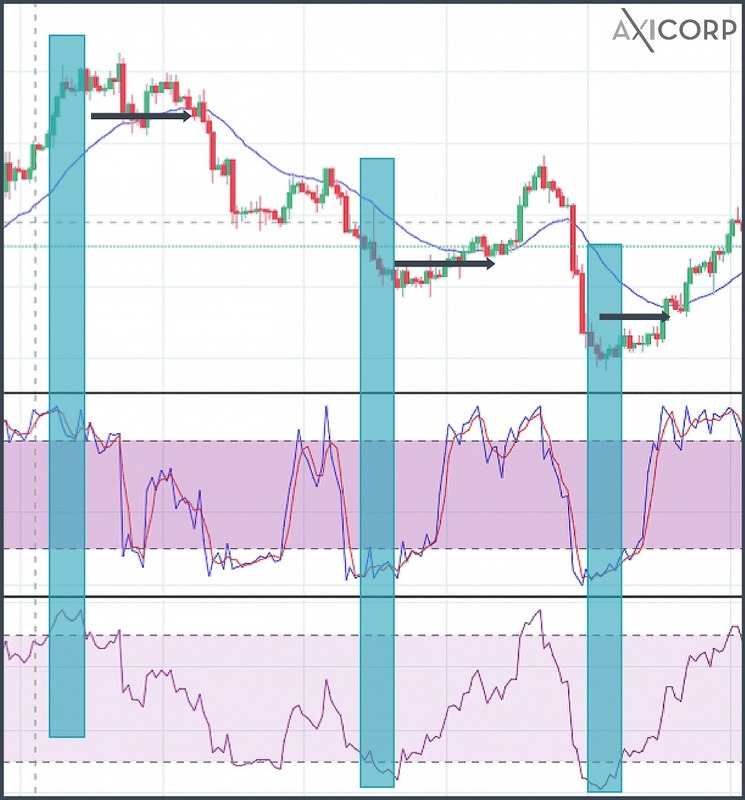 As the positions are only entered and exited once in a while, this can be a practical trading style for FX traders looking to enter the Forex market part time. This is the trading style with the longest timeframe. Typically, the positions are held across months or even years. FX position trading is mostly driven by fundamental analysis and closely resembles traditional stock trading. Here, the most important criteria for your broker needs to be their trustworthiness and the fact that they won’t shut down for a long time to come. Once the basics of FX trading is learnt by reading, the next step is to learn by doing. Still, a beginner needs not risk real money and can develop a trading strategy by using a demo account. 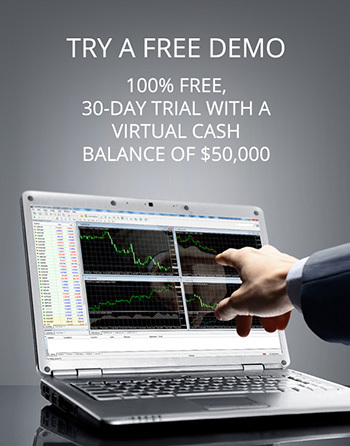 The best way to utilize a demo account is to treat it as if your real money is on the line. This can also help the aspiring FX trader to gauge the broker, customer service, the platform and any analysis tools. During this practice, as well as eventual real trading, it can be very helpful to keep a trading journal. This will help keep track of the trading strategies and tools used. With this, it becomes easier to refine the strategy to improve the outcomes. Once Forex trading on the demo account becomes a comfortable experience, the trader can dip their toes into using real money. It’s still very important to keep learning new tools and refine existing knowledge. It can be hard to keep emotions out of FX trading therefore it becomes imperative to use automated trade entry and exit strategies such as stop and limit orders to ensure that the strategy is followed.